Get Important YouTube Stats Now! 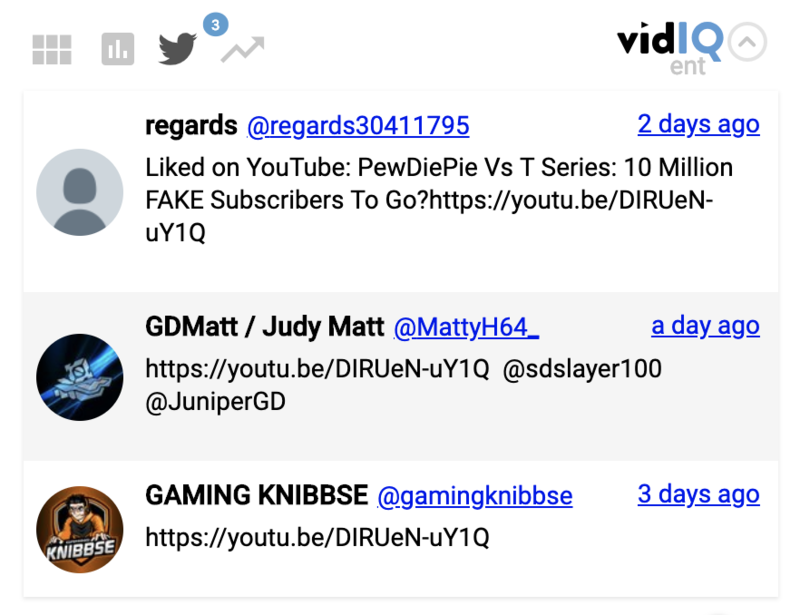 vidIQ’s new Scorecard has been rebuilt to bring you even more information about your YouTube videos! It’s faster to load and packed with features that will give all the feedback you need on all videos uploaded to YouTube. 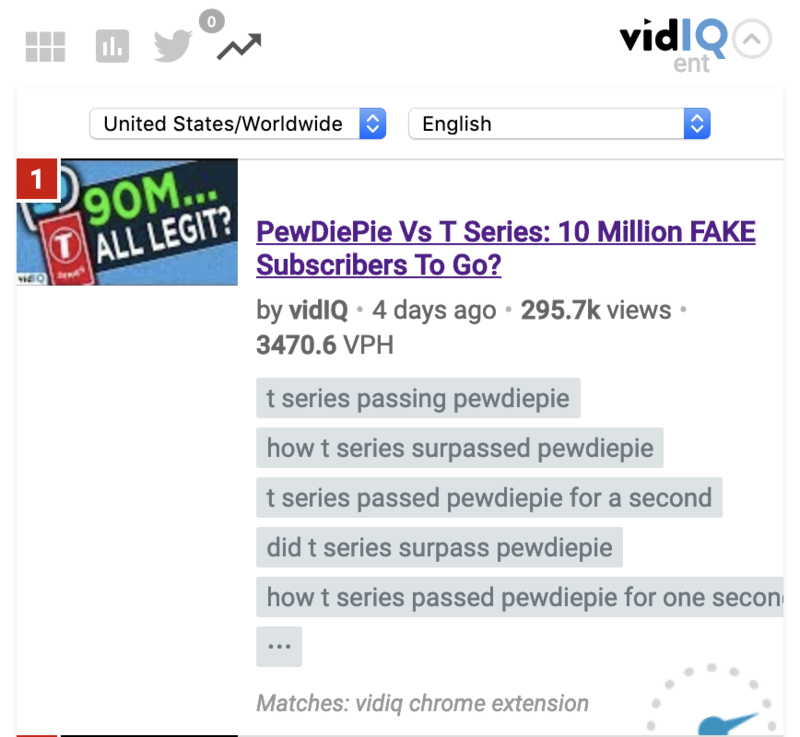 Data that is usually stored deep within YouTube Analytics is instantly at your fingertips with vidIQ’s Scorecard. 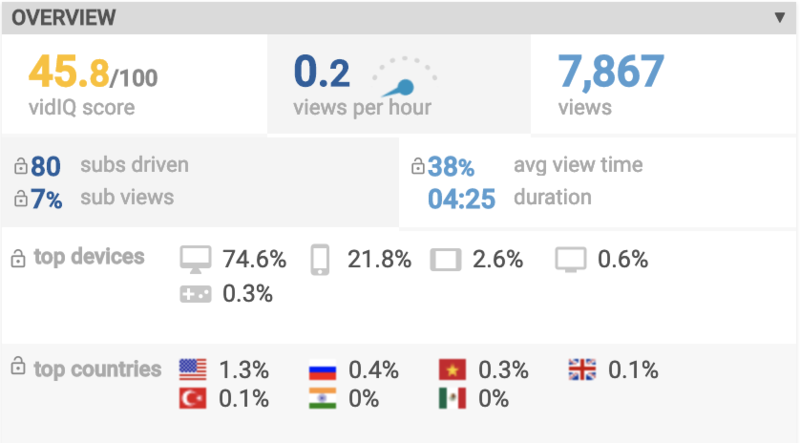 It helps you quickly gather data to give you a top-level view of how your own or other videos are performing - as well as those of your competitors. Key data points are color-coded to quickly show you what’s working - and what you need to fix. It will also give you an estimate of the potential earnings of a video! This section of the Scorecard will show you how a video has been performing across social including Facebook and Reddit. This is must-have feedback for any content creator. Search Engine Optimization can make or break a video on YouTube, so it’s vital to know how well your content has been optimized. 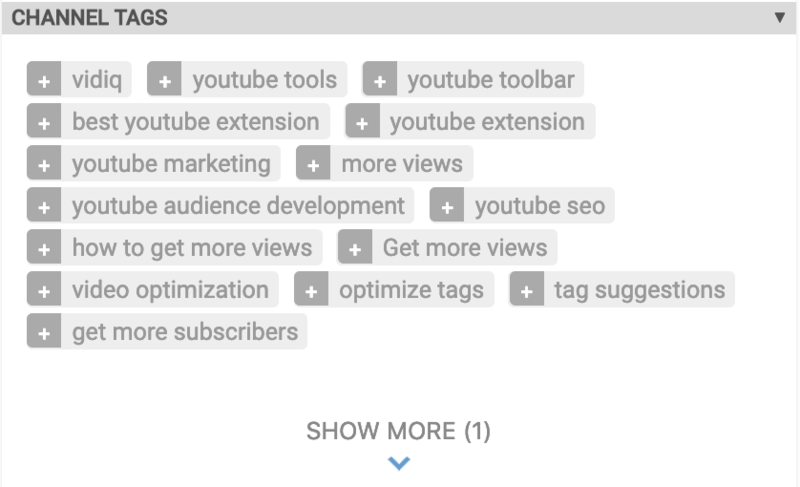 For instance, you can instantly see how tags are performing against the most popular ones on YouTube. Creators can use this information to make quick changes to their own video content. Just mouse-over the SEO Score for a complete breakdown and explanation of how we score your SEO. 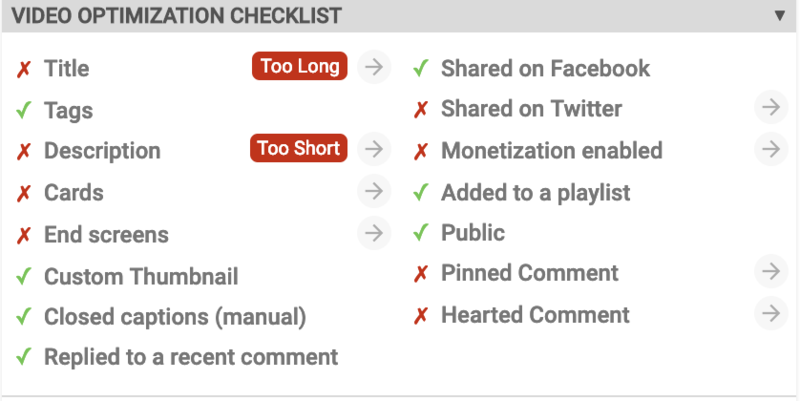 This one-stop optimization checklist is vital for confirming what optimization steps have been taken - and what can be improved on. With 15 different checkpoints, it’s the best cheat sheet available to creators today! The controversial keywords section is designed to help you avoid demotimization based on the keywords you use. The channel section will give you the total number of views, subscribers and daily averages so you can instantly tell whether a video is a one-off hit or is consistent with that creator’s overall Channel performance. 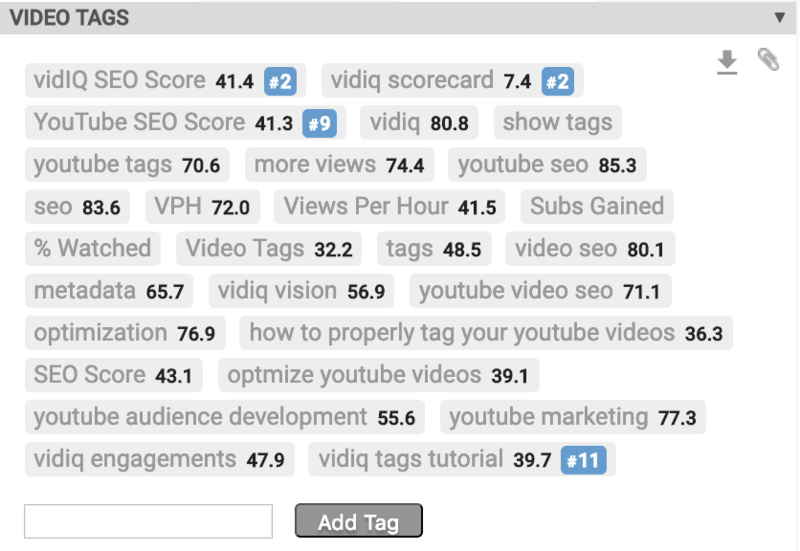 Our Video Tags feature will show you how many tags a video is using, and how high they rank on YouTube. You can also copy all the tags shown to use for research and for your other video uploads. 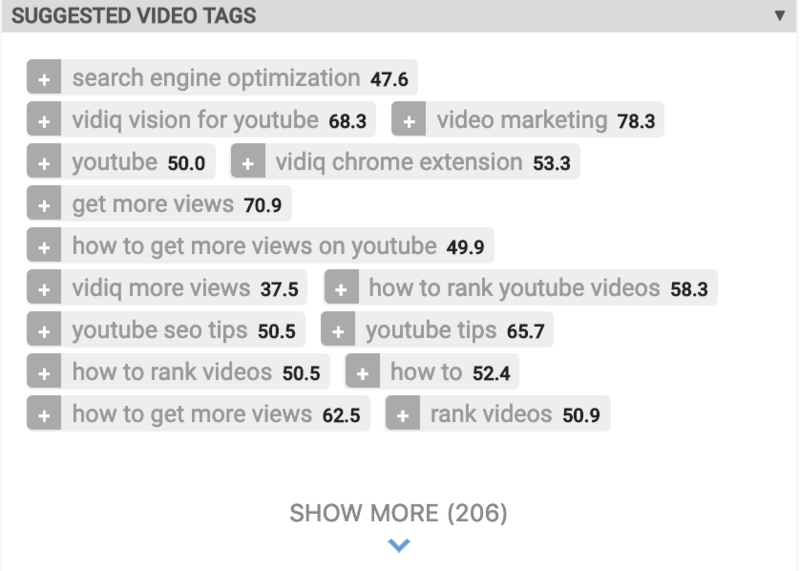 This feature suggests tags you should be using on your video to make it rank higher on YouTube. The channel tags show what tags are used for the channel tag section. 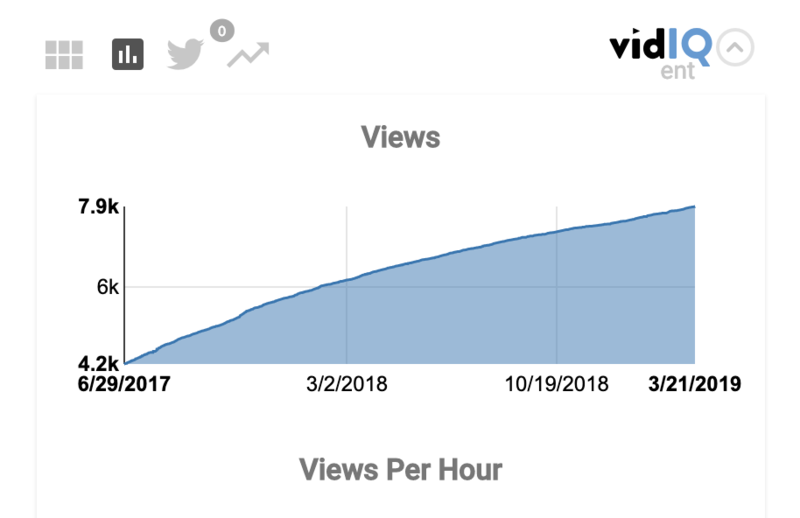 The Historical tab gives you a timeline of how a video has performed since the minute it was uploaded. From views to engagement, this feature can give you precise data on any video. Want to know who is including a video in their Tweets? This section gives you all the details. The trending section shows the related videos that are trending.